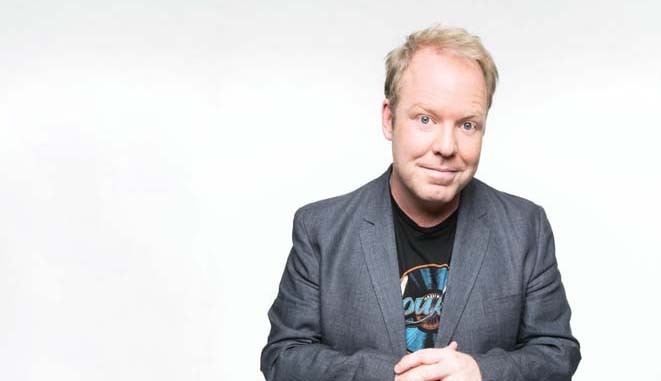 The best-selling Frankie Fish series by Australia’s favourite comedian and children’s author Peter Helliar has smashed the 100,000 copies sold mark ahead of the next exciting book in the series which will be publishing in March. Helliar has gone from strength to strength since Frankie Fish and the Sonic Suitcase, the first book in the series, published in 2017, about a twelve-year-old prankster who inherits a time-travelling suitcase from his grumpy granddad. The humour and heart Helliar weaves into each story of his time-travel adventure series has cemented the Frankie Fish series as a firm and immediate favourite among readers of all ages. Two years on from the first book, with a hit new television show under his belt (Network Ten’s How to Stay Married), an ongoing co-hosting role on Network Ten’s The Project, stand-up shows booked around the country, and now over 100,000 copies sold across the Frankie Fish series through Nielsen Bookscan, Helliar is showing no sign of slowing down. Frankie Fish and the Sister Shemozzle, is the upcoming fourth book in the Frankie Fish series for readers of eight plus. In this brand new adventure Frankie and his best friend Drew Bird must go back to Ancient Greece to track down Frankie’s big sister and bring her home. Helliar says he was very close to his grandparents and the grumpy granddad is the polar opposite of what his grandparents were actually like. “I lost one of my grandparents when I was only 11 but spent a lot of time with the other three. They were so supportive and I always valued our relationship so it was great to be able to feel like I was making them proud,” he said. Another source of inspiration for Helliar is his three boys, whom he has always loved reading with and encouraged to pick up books. “I had always wanted to write books. I mean writing is what I do with my work as a stand-up comedian, on The Project, and TV roles. A book came to mind as something I could do for my kids before they were too old and then that week two publishing companies rang my manager and asked if it’s be interested in writing a kid’s book so I thought that was a definite sign,” he said. For Helliar, his interest in writing started at an early age. 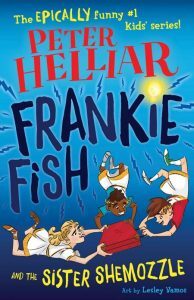 With each book, Helliar has made sure the lead character, Frankie Fish, had a travelling companion. “We started with Frankie and Granddad then Drew, Nana Fish, and the Vikings; this book we have his sister which has added some sibling issues and humour. As much as the lead character is a boy, I have noticed a lot of girls like reading the stories. Time travel doesn’t know gender and the girls are just as interested so it was great to have his sister more involved,” said Helliar. Frankie Fish and the Sister Shemozzle will be available in stores from Monday 18th March 2019.